We offer membership levels targeted at specific groups of users. See which level best serves your needs and sign up accordingly - we will be adding more and more value-added services over time ... membership always has its perks! Welcome to our ‘Membership Options’ page. All the same, registration is highly recommended and it’s FREE! Registered members are kept in the loop as far as our Services updates and generous discounts go! You can upgrade later to any of 4 membership levels (Standard, PRO, PRO+ and Platinum) that meets your needs. You might also have been redirected here when trying to access a page or service restricted to a particular membership level. In any case, feel free to contact us if you need more information. We welcome your interest in what we have to offer and look forward to be of service. 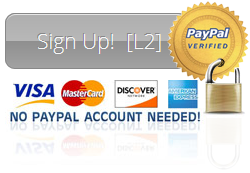 Note: Our web hosting clients are automatically enrolled as PRO members (Level 2). You can login and update your Member Profile at anytime. Please contact us if you have not received your login information. All registered users are grouped at entry level without charge. Registered users/members enjoy news and updates on our Services including any time-limited Special Offers! If you use any of our stand-alone iMarketing modules or purchase any item above $199, you qualify automatically. No need to sign up. Simply contact us for your login information. Or you can pay $199 to join and enjoy up to 10% discounts on all items sold on this site that are not already on sale. Subscription rate is $199 per year payable yearly in advance. As mentioned, all our web hosting clients are now PRO Members – your next billing date is 21 days prior to the date of renewal of your web hosting package. You will receive a reminder notification one month in advance of the renewal date to facilitate payment. Alternatively, you can opt to become a PRO member for $300 and have your website hosted on our servers without additional charge for as long as you are at least a Level 2 member! Subcription rate is $300 per year payable yearly in advance. This membership level targets online businesses who enrol in our StOMP (Strategic Online Marketing Plan) Initiative which is a bespoke iMarketing campaign optimized for online success. All our StOMP Initiative clients are registered PRO+ Members by default. This membership level offers unique iMarketing modules that can enhance any current campaign. You can view them as add-ons or traction enhancers that could turbo-boost any existing marketing endeavours you may already have in the works. This membership level is currently only open to our StOMP Initiative clients. Do contact us for more information on StOMP and how it can help your business online. You are practically a partner in our pet initiatives. We have several interesting (read lucrative) internet ventures in mind that need funding and the right sort of collaboration. You don’t need very deep pockets but do need to share the same vision and trust that all good intentions do bear fruit if the right people collaborate in the right spirit. That said, feel free to contact us if you have some idle funds for not so idle minds to work with. Important thing is, we have each other’s back(ing), so to speak. To start a conversation, why not drop us a line first, introduce yourself … and we can take it from there!